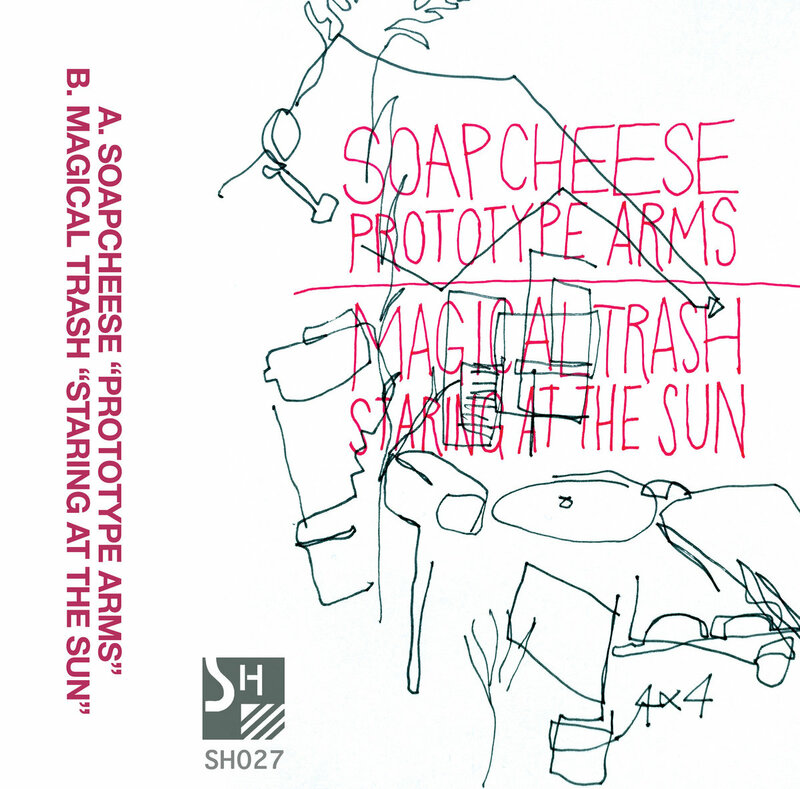 Brand new cassette single split between Soapcheese and Magical Trash. Limited edition cassingle SH027 released on Sept 1. Soapcheese hails from the deserts of PHX AZ, creating hyper-kinetic electro funk with walls of dreamy synths and stuttering drum machines. Magical Trash is an Amsterdam-via-Portland synth-punk artist with an interest in texture and form. This track (Staring At The Sun) effortlessly blends ambient synths with moody post-punk sensibilities.